Big Joanie are a black feminist punk band. We're like The Ronettes filtered through 80s DIY and 90s riot grrrl, with a sprinkling of dashikis. Big Joanie are Stephanie Phillips (lead vocals/guitar), Estella Adeyeri (bass) and Chardine Taylor-Stone (drums). The band formed in 2013, releasing their first EP 'Sistah Punk' in 2014, and the single "Crooked Room” in 2016. 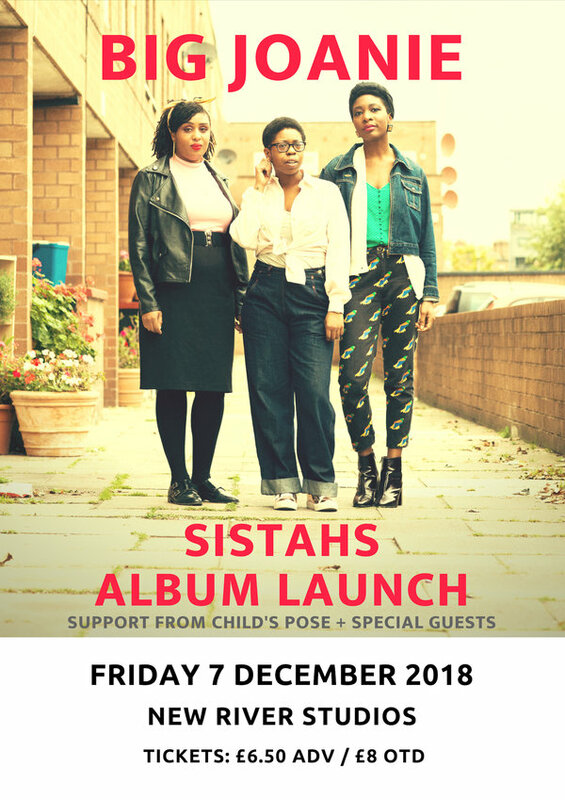 In the winter of 2017, after a busy year touring the UK and honing their unique sound, the band teamed up with producer Margo Broom of Hermitage Works Studios to record their debut album, 'Sistahs'. 'Sistahs' is an optimistic record about friendship, melancholic memories and the belief in a modern future. The album title derives from the band's belief in the power of sisterhood and female friendship. The first single from the album, 'Fall Asleep', was described by Pitchfork as "a woven rock tapestry of affirmational lyrics, girl-group claps, and deep, slashing guitars." 'Sistahs' will be released on Friday 30th November by The Daydream Library Series, a brand new record label spearheaded by Thurston Moore and Eva Prinz. After discovering Big Joanie supporting The Ex in London in June 2017, Thurston, Eva and their colleague Abby Banks agreed the very next day that they would release the band's debut.